Winter is gone and now new risks of spring storms are here. 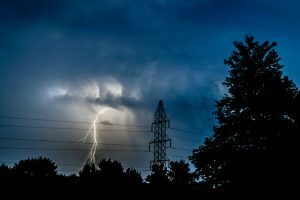 With strong winds and heavy rain, spring storms can wreak havoc on your house. To ensure that your home continues to look and function its best after a storm this season, keep these tips in mind to help inspect your house for any property damage. Roof – your roof is one of the most vulnerable areas of your house during a storm, since there are many factors that can impact it. Look for split seams, holes, missing shingles, and leaks in your ceiling or roof after a storm. If you find any of these issues, hire a roofer to fix the problem before they become much more serious. Exterior – even though brick and stucco are very durable, they can also be damaged during a strong storm. Look for chipping or cracking in the siding of your house. Even if it does not look like a serious issue at first, check again a couple days later to see if the problem has grown. If you have any damaged or detached trim, it can also be a sign of a much more serious issue. Walkways and driveways – concrete can crack and chip during strong storms, which will create a safety issue while also reducing the lifespan of your driveway or walkway. Have any issues fixed as soon as they occur in your walkways and driveway. Trees – a tree that falls on your house during a storm can cause serious damage. Luckily, your homeowners insurance policy will most likely provide coverage for the damage that is caused by a tree during a storm. For all of your home insurance coverage needs to ensure that you are protected from any storms this season, contact American Advantage – IFS Inc. in Pewaukee, Wisconsin.